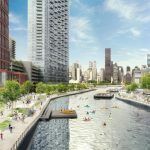 Amazon officially announced on Tuesday its plan to bring its second headquarters to Long Island City, following a 14-month long contest among hundreds of cities across the country. The company will also open a second new headquarters in Arlington, Virginia, with each location expected to house 25,000 new employees; Nashville will become home to Amazon’s “Operations Center of Excellence,” equipped for 5,000 full-time jobs. 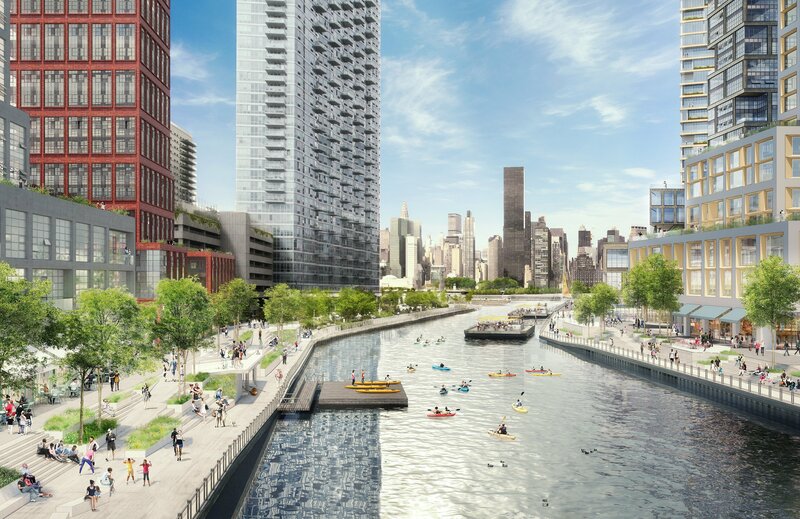 In Queens, Amazon intends to construct the mixed-use complex across both public and private sites that sit along the East River, in an area known as Anable Basin. 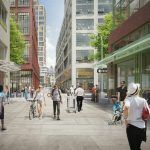 Although the HQ2 project still must undergo a public and environmental review, as well as a possible rezoning, the tech company said it will receive over $1.7 billion in incentives from New York State for its project, which is expected to cost over $3.6 billion, and has the potential for another $1.3 billion “as-of-right” benefits from New York City. Amazon expects to open 4 million square feet of office space with the possibility of expanding to 8 million square feet, all while pledging 25,000 full-time high-paying jobs by 2029. According to the company, they could eventually create 40,000 jobs over the next 15 years. 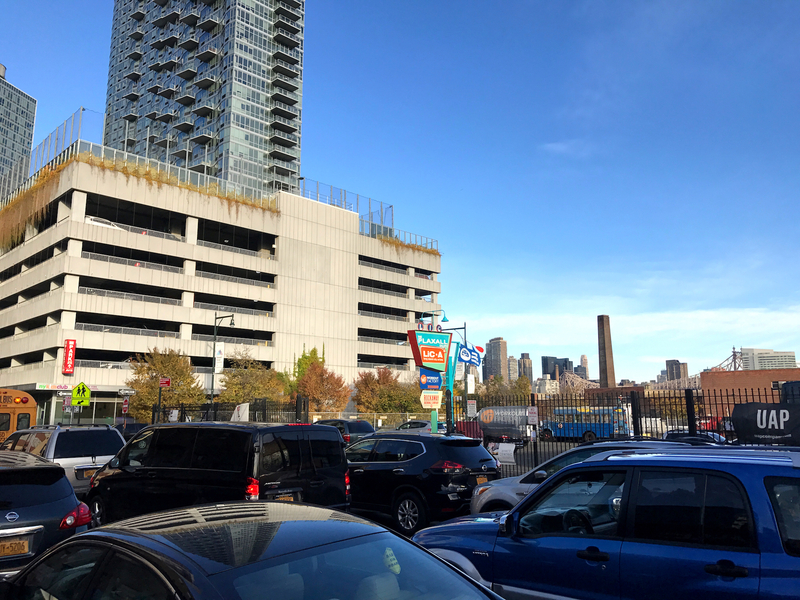 According to the agreement with the city released by Amazon, the company will construct HQ2 on a site bordered by Vernon Boulevard, 44th Road, 46th Avenue, and the East River. The land is a mix of city-owned and private, the latter which is owned by the plastics company Plaxall. Last year, Plaxall, who owns 12 acres already, proposed a 15-acre rezoning of the area that would allow for 335,000 square feet for industrial spaces, nearly 5,000 housing units, and a new public school. The proposal from Amazon seems to utilize both Plaxall-owned land and property currently overseen by the city. The city’s economic development corporation selected TF Cornerstone to come up with a plan for the city-owned land just north of Plaxall’s property. 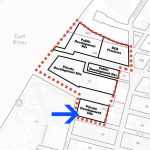 Similar to Plaxall’s plan, TF Cornerstone is proposing a mixed-use, live-work complex for the site with office, retail, and manufacturing space, all which require changes to current zoning. 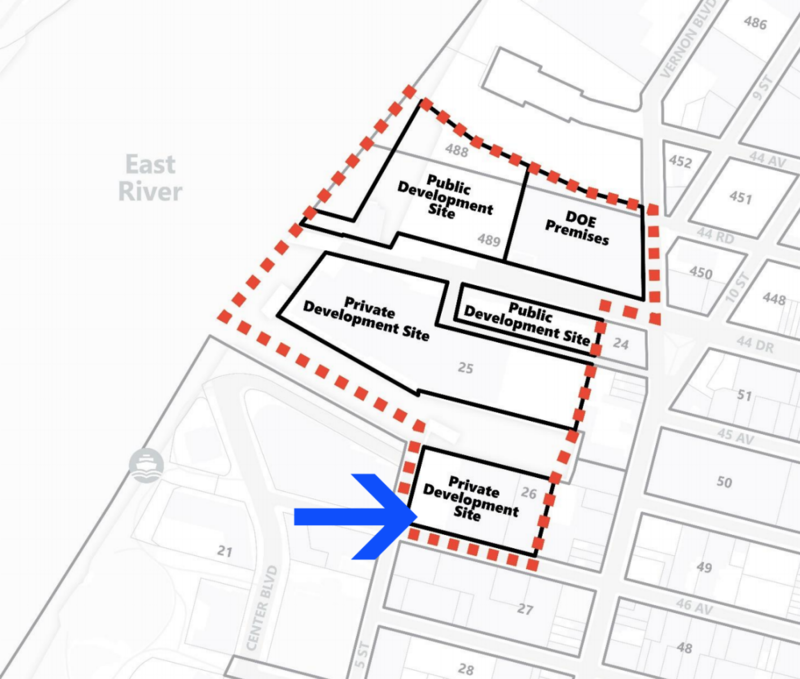 However, the state is prepared to create a general project plan to rezone the site, a controversial process that does not require City Council approval for the rezoning, Crain’s reported last week. 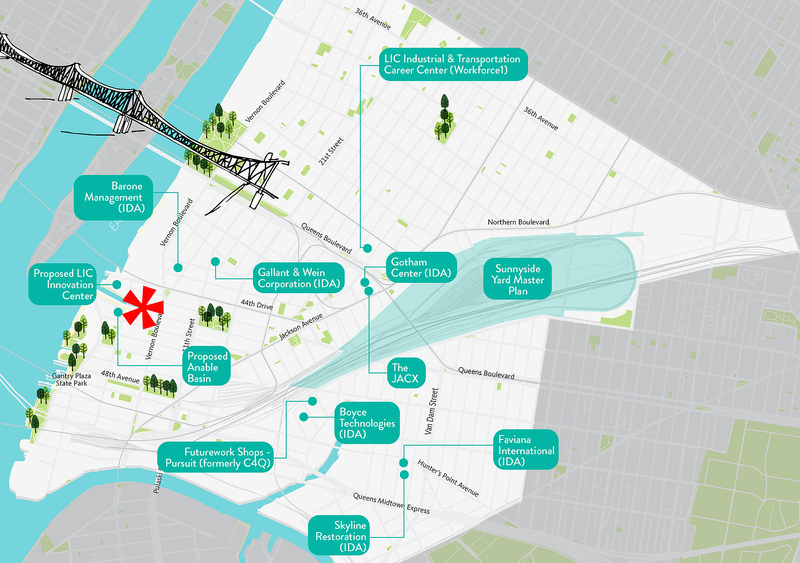 The GPP has been used to build projects like Queens West, the Barclays Center and Brooklyn Bridge Park. In exchange for bringing $2.5 billion in investment and creating thousands of new jobs, New York is providing Amazon with incentives totaling over $1.7 billion. About $1.5 billion of that comes from performance-based direct incentives, which includes a tax credit based on a percentage of salaries it will pay employees. (Amazon said it expects to pay $48,000 each for 25,000 jobs that make $150,000 or more). 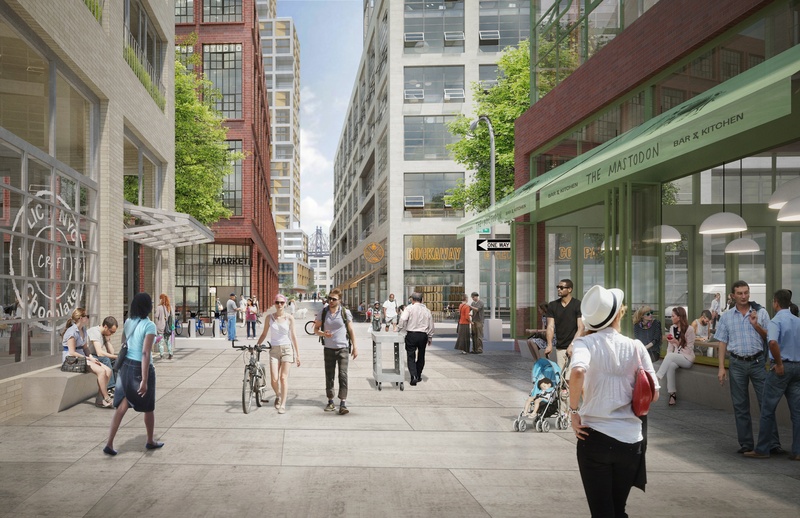 And the Empire State Development will provide a grant of $325 million based on the square footage of buildings occupied over the next 10 years. Amazon may also qualify for an additional $1.3 billion in “as-of-right” benefits, including NYC’s tax abatement program ICAP and the REAP program, which provides an annual credit of $3,000 for 12 years per eligible employee. 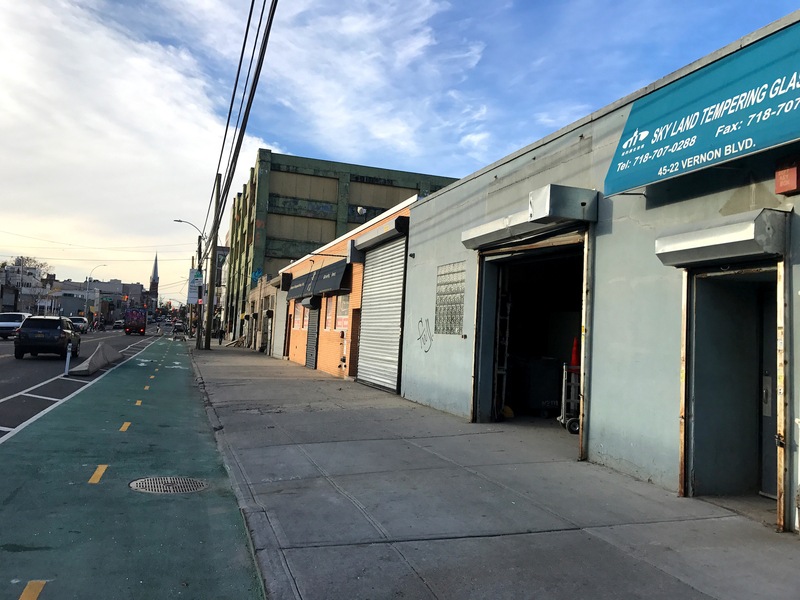 Throughout the company’s 10-year expansion, REAP benefits are projected for $897 million and ICAP will abate about $386 million, according to de Blasio and Gov. Andrew Cuomo. 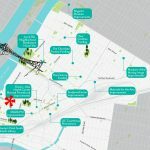 The project has already garnered criticism from local residents and public officials, including Van Bramer and State Sen. Michael Gianaris. 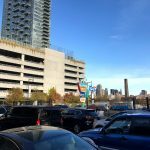 The Queens officials released a joint statement expressing concern that Amazon’s headquarters would put even more stress on the neighborhood’s infrastructure. 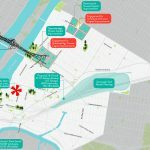 In lieu of property taxes, Amazon will fund infrastructure near the site, a program known as PILOT. 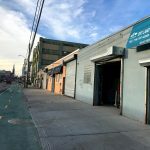 At least 50 percent of the funds will go towards the city’s general fund, which will be used to fund infrastructure improvements to streets and sidewalks, open space, transit, and schools. 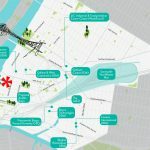 The New York City Department of Environmental Protection will increase its funding commitments to $95 million, for improvements to the area’s sewer system and water mains. $60 million will go toward the construction of a new school in the Court Square area. 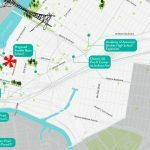 An additional $10 million from the DOT to supplement existing plans and funding for the Hunter’s Point street reconstruction project. 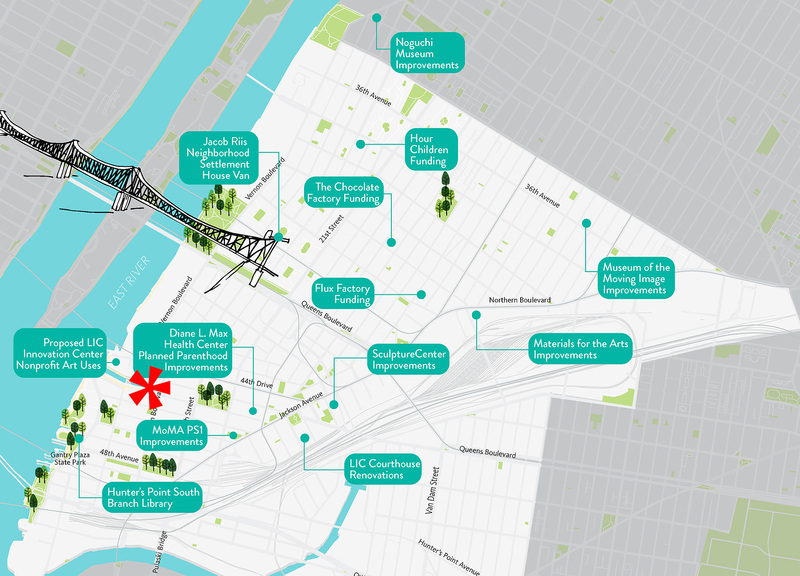 Finally, $15 million is going to NYC Parks for targeted open space improvements at Queensbridge Baby Park, Old Hickory Playground, Bridge and Tunnel Park and Court Square. 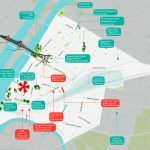 With its plan, the city also released maps of projects currently in the works in the area, as well as new strategies proposed. See some of them below, with Amazon’s proposed site highlighted in red.